Charlie Victor Cochran, age 75, of Kennesaw, Georgia passed away on Tuesday February 5, 2019. 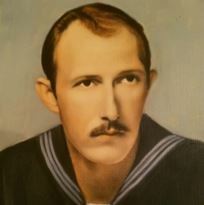 Charlie was a veteran of the US Navy who served our country honorably on the USS Saratoga. Most of Charlie’s working career was spent as a Truck Driver with Complete Auto Transit but he also was employed with Cobb County School System as a Bus Monitor for several years as well. In his spare time he enjoyed fishing, and, according to his family, talking. Charlie never met a stranger. Charlie is survived by his wife, Betty White Cochran; daughter Leelannee White Cochran; brother Steve Cochran and brother Max Cochran; several nieces and nephews. A visitation for Charlie will be held Saturday, February 9, 2019 from 1:00 pm to 3:00 pm at Winkenhofer Pine Ridge Funeral Home, 2950 Cobb Pkwy NW, Kennesaw, Georgia 30152. A chapel service will follow the visitation. Burial will take place at Pineridge Memorial Park, 2950 North Cobb Pkwy, Kennesaw, Georgia 30152.